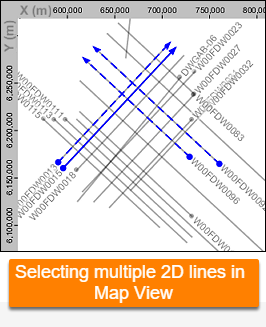 The 3D View can display any number of 2D lines. To display 2D data, 2D line display must be enabled for the view. For more information on 2D data, see the Managing 2D Data chapter. 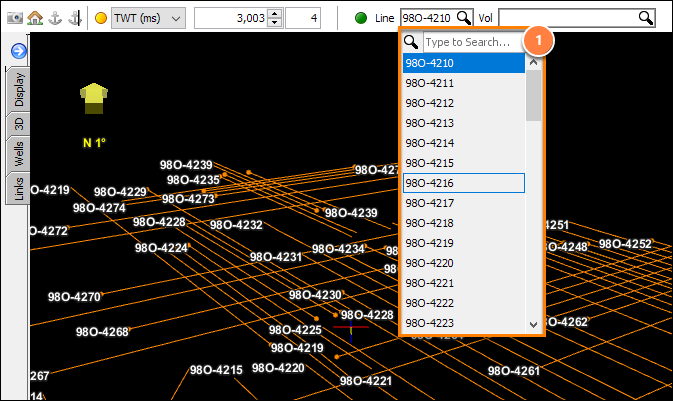 The 3D view will display the selected line. In the 3D view window, hold down SHIFT and click on a 2D survey line. The 2D line will display after loading the data from the volume. 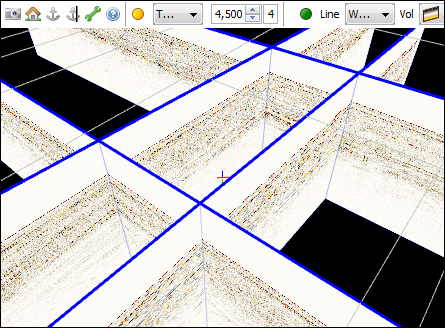 In the 3D view window, hold down Ctrl (Cmd on Mac) and click on each 2D survey line. Each 2D line will display after loading the data from the volume. CTRL-click additional lines as needed. To deselect a line, CTRL-click a visible line at the top edge (the survey line). To deselect all lines, hold Shift and click on a single line. The other lines will be deselected. In a Map view (Control Panel > View Menu > Map View). Hold down Ctrl (Cmd on Mac) and click one or more 2D lines. To deselect a line, Ctrl-click it again. 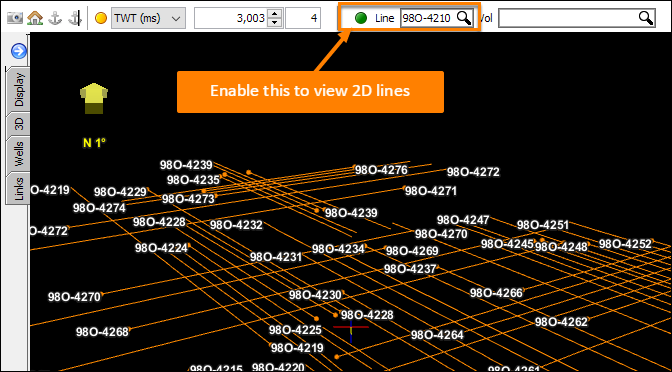 Right-click any of the selected lines and choose “Show [n] lines in 3D View”. The selected 2D lines will be shown in the 3D view.